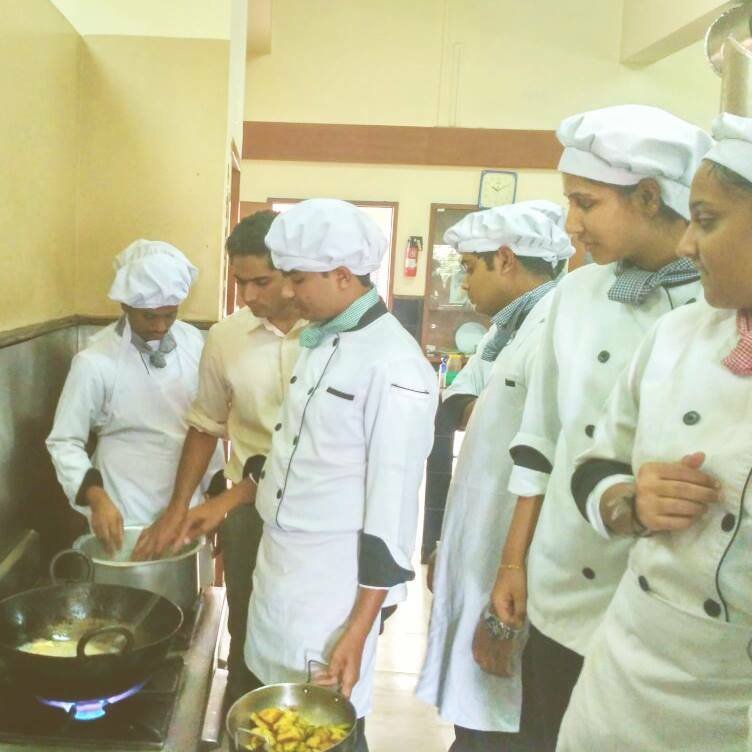 Students got and opportunity to learn from a celebrated chef about authentic Rajasthan cuisine, plate presentation as per industry standard and use of native ingredients. 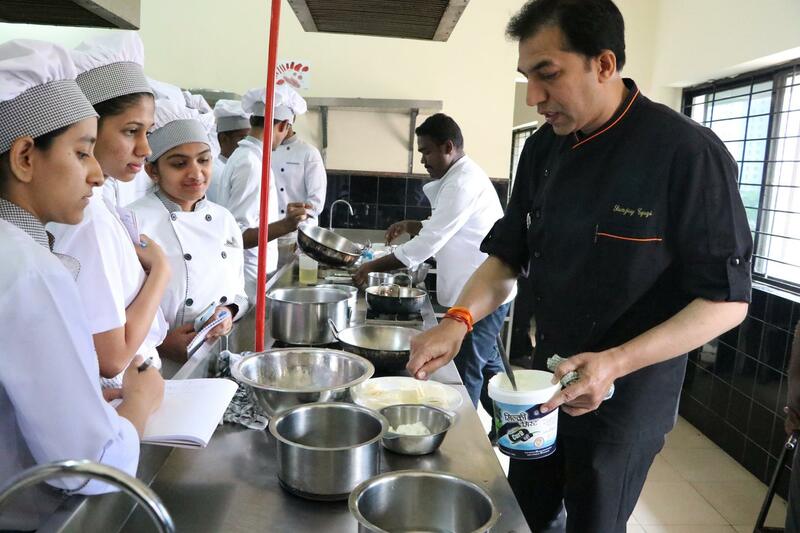 Chef Sanjay Tyagi, personal chef of our Prime Minister during his international visits conducted the workshop.The Parv cuisine workshop held on campus on January 29, 2019 was organised by the department of hospitality and event management. A one day workshop “PCB Design – Altium Designer” was organized by BITES in collaboration with PES University and GSAS Microsystems for the benefit of faculty members and students on Dec 21, 2018. The industry experts gave an overview of processes starting from schematic creation till generation of the files compatible with the fabrication process. 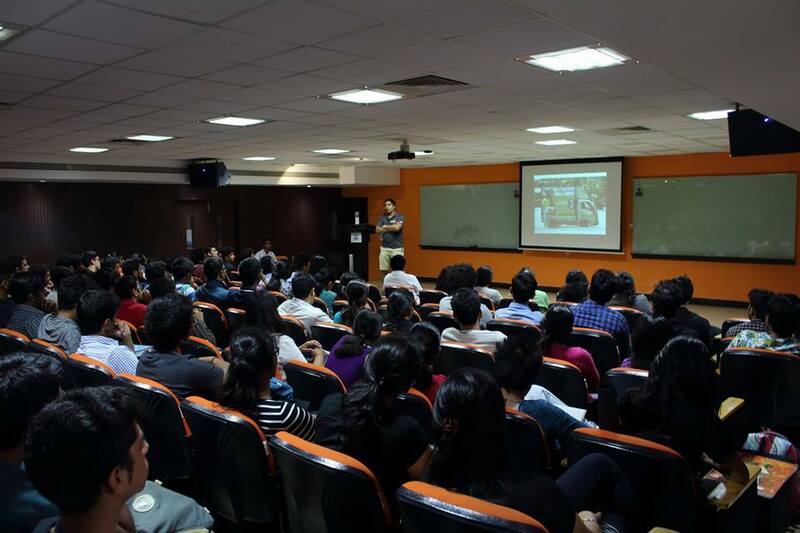 About 40 students and 30 faculty members from different colleges in and around Bangalore got an opportunity to know more about truly unified design made possible by Altium Designer. The automation tool bridges all facets of the PCB design process to keep designers seamlessly connected to every aspect of your design — at all times. 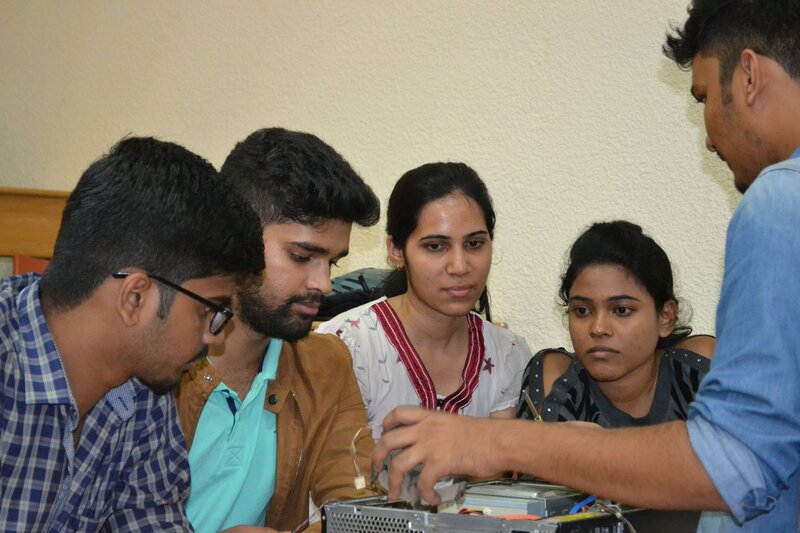 The workshop conducted by resource persons from GSAS Microsystems and IPC, India covered PCB design using Altium and use of simulation tools to test circuits, in a software environment to generate the outputs required for fabrication. 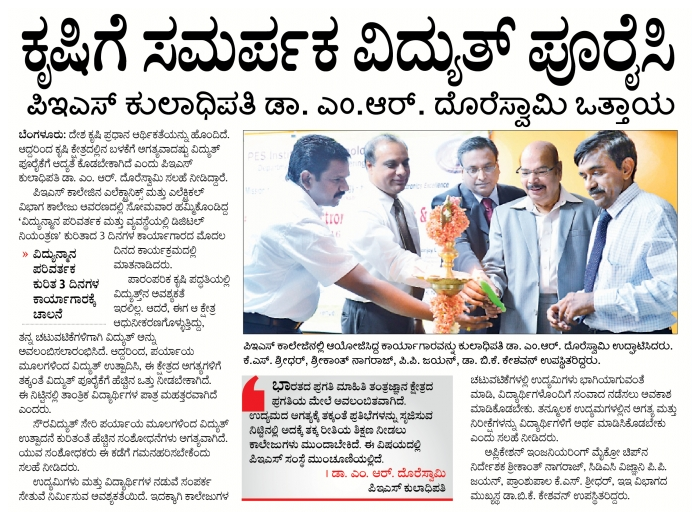 Dr. KN Balasubramanya Murthy, Vice chancellor PES University and Chairman, BITES welcomed the dignitaries and participants and talked about how the organization is serving as a catalyst for nurturing IT educational institutes and improving employability of graduates. He emphasized on the importance of quality of faculty work in an education system. Mr. Satyanarayana, MD, GSAS Microsystems talked about the importance of understanding protocols and enabling more hands-on sessions in the education system. He also brought up the necessity of learning PCB design and how working on Altium Designer would enable students to improve their employability and prepare them for the challenges ahead. GSAS Microsystems offered licenses of Altium Designer for a limited period for all registered participants on request. Dr. Keshavan, Chairperson, EEE and Dean of Faculty concluded the workshop thanking the key resource persons and indicated that more rigorous session can be planned as a follow up for all interested participants. The Board for IT Education Standards is a non-profit society set up by the Karnataka Government, in association with IT industries and educational institutions, in order to enhance the quality of IT education and help build quality manpower for the IT industry. Altium Designer is a leading global product used in Electronic Design Automation. GSAS Micro Systems is a team of technical experts adept in identifying and providing end to end solutions in the electronics industry in India. PES University is committed to creating professionally superior and ethically strong global workforce. Guest Lecture on importance of learning for professionals in hospitality industry Career development in the rapidly changing retail domain and restaurants business demands continuous learning and development. Pooja V B who heads the regional training team for a master franchise of leading global retail brands and Santosh Muruganantham, founder and CEO of Kolapasi, a chain of takeaway outlets in Chennai shared their insights about realizing ones potential through learning in a highly competitive market. The guest lecture was held on Nov 11 on the campus. Students got an opportunity to understand organic terrace farming, organic retail concept and building sustainable organics restaurant business and interact with Mr.Jayaram, founder-Greenpath. The visit to Greenpath restaurant on Nov 14, 2018 helped the students of BBA HEM know more about an organization that successfully runs eco-initiatives including organic farms, stores, eateries, eco-stays and workshops. Students got an opportunity to participate in the Akshaya Patra program and attend workshop on Mind and Body.At Gurukula Vidya Peeta, they distributed books, clothes, and stationery and basic coaching in mathematics was conducted by the faculty.Students participated in the activity on September 29, 2018 as part of the Boot Strap program of department of computer applications. The workshop saw the presenters sharing their experience of successfully using the Vedic approach in their own professional and personal lives with excellent outcomes and as a form of service to society, in India and the world over. Dr P.R. Mukund Professor, Dept. of Electrical Engineering, RIT, Rochester, New York and Dr. Ananda Gopalan, CTO, VeldonycLidar, USA participated in the event. Dr. Veena S, Chairperson, Dept. of Computer Applications, PES University was present on the occasion. The three traits of human being were compared to sathva, rajhasa and tamasa to induction, resistance and capacitor. Process of learning was demonstrated by shravana, manana and nidhi dhyasana. The speakers talked about DECATRAIT approaches related to knowledge, passion, attachment and detachment, awareness of the self, absorption, confidence, conviction. The importance of balance, vitality and strength for attaining success, position, fame and for personal growth was highlighted. Over 75 faculty, principals and institutional nominees, over 100 students from various institutions and over 100 working professionals attended the workshop held on July 26, 27 and 28, 2018. A hands-on experience of IoT and sensors brought forth the immense opportunities this domain offers in solving practical problems quickly and cost effectively. The workshop covered IoT related: physical and logical design, enabling technologies and levels, domain specific applications and platform design methodology. Participants also learnt about setting up, booting and using Raspberry Pi and got a quick overview of Python. The two day workshop held on Aug 10-11, was inaugurated by Dr.Mrunalini P, Associate Professor, Dept. of Computer Applications, MSRIT and Dr.Veena.S, Chairperson, Dept. of Computer Applications, PES University was present on the occasion. 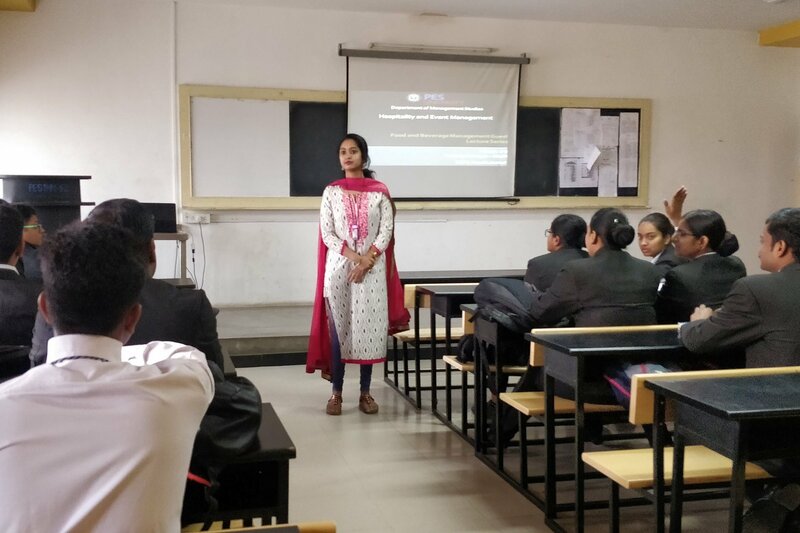 The brainstorming event saw PES University students of engineering and design, competing with peers globally for real-life implementation of innovations selected by Honda. Connected cars based on concepts of 5G communication, autonomous car and ride sharing, and emotion-based service provisioning are changing the ways cars are being used. Xinova on behalf of Honda conducted the event to seek innovative ideas from student innovators on application of emotion-based personalized services for the connected car. The interactive session saw the participants come up with inventive ideas. Experts from Xinova, Chris Buntel, Issac Pek and Ramakrishnan Vaidyanathan did a rapid fire screening and guided them on how to select-reject-improve ideas. The participants then submitted their solutions highlighting why Honda should select their solution. Xinova was appreciative of the ideas presented by the students in a short span of time. Xinova is a collective of 12000+ innovators working with large companies to help them solve their research and product development challenges. The day long Ideathon was held on July 14 on the campus. 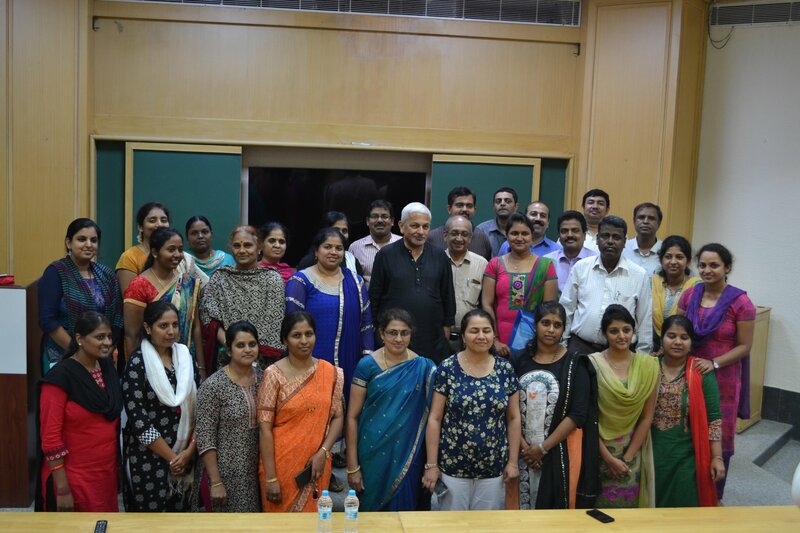 A 10-day faculty development programme for teaching and non-teaching staff on MS Office was organised by the Hospitality and Event Management Department from June 4 to 15 on university campus. 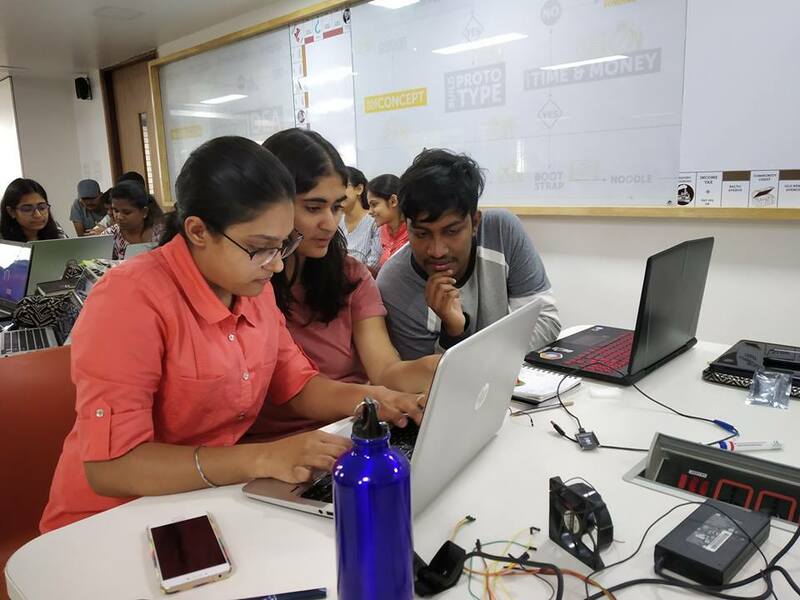 Students participated in a two-day Workshop combined with one-day Hackathon to learn and implement smart solutions using IoT at PES University. Over 60 students participated in the event held from June 22 to 24, 2018 in CIE Studio at PES University. This program provided a unique hands-on experience of sensors and actuators, edge computing and cloud environments. 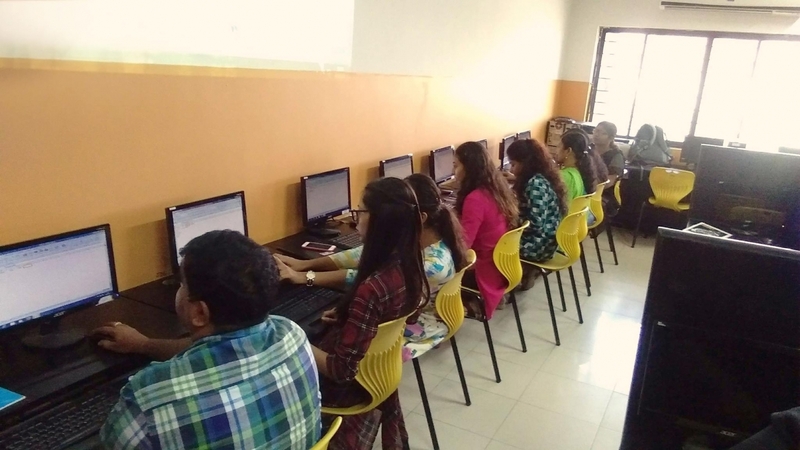 The program was conducted by Center for Innovation and Entrepreneurship (CIE), Center for Information Security, Forensics and Cyber Resilience (IFSCR), Computer Science and Electronics & Communication Departments in association with FluxGen Technologies. On Day 1, participants worked with sensors and actuators, interfacing circuits, programmable controllers and associated hardware and tested their programming basics working on 9 projects. Day 2 covered basic communication protocols, wireless communication, Cloud setup & communication, cloud Analytics and Android app development and systems integration working with 5 projects. Day 3 tested the skills of the students as they competed in a 3-stage Hackathon solving real problems. Center for Innovation and Entrepreneurship (CIE) Makerspace, the place to ideate and bring ideas to life, provides the setting for people, ideas and action to come together. The space was inaugurated by Dr. K.N.B. Murthy, Vice Chancellor and Prof. Ajoy Kumar, COO, PES University. 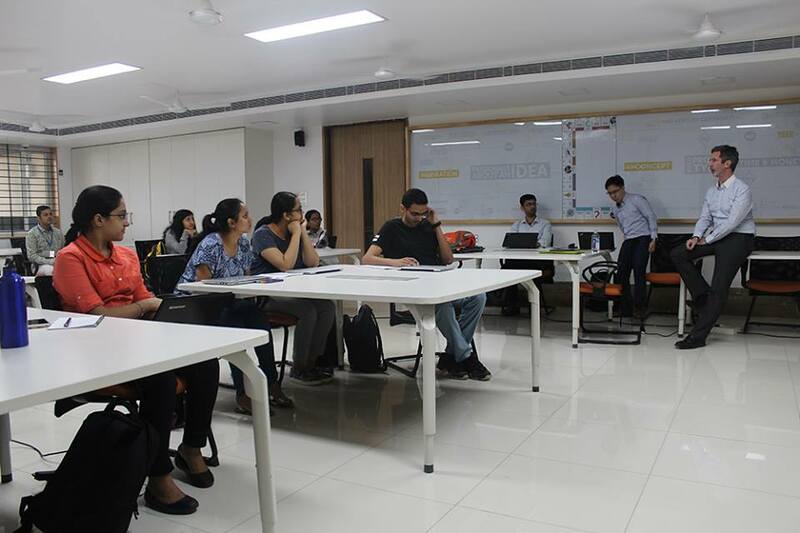 CIE Bootcamp, a residential weeklong experiential learning session was held for students to gain insights into the landscape of tech entrepreneurship and take an idea to a pitch using contemporary methodologies and frameworks like design thinking, effectuation, Business Model Canvas and Agile. 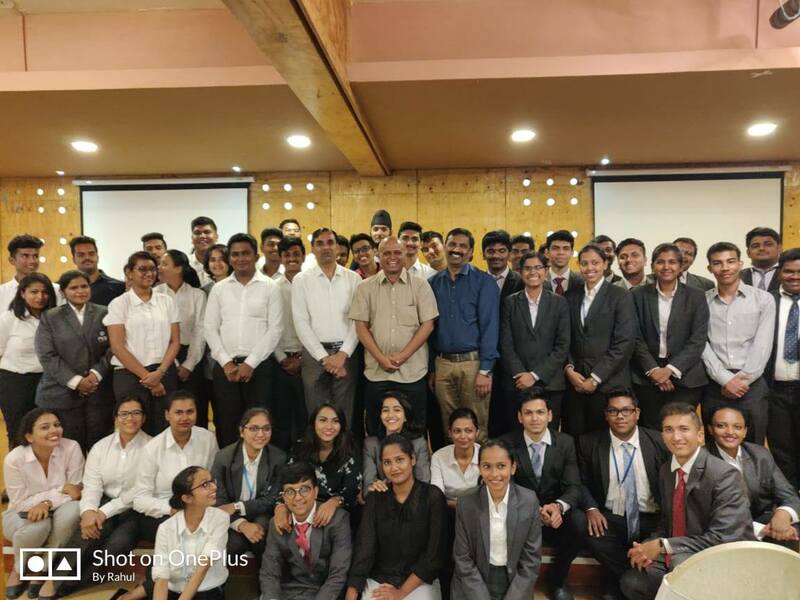 Eight teams comprising of 4th and 6th semester Engineering students from PES University presented ideas, qualifying for the final pitch, which had Dr S Raghunath, Prof at IIM-Bangalore as the chief guest and juror. The first prize, sponsored by Vantage Agora, was won by “End-to-end Energy Management start-up” ideated by the team of Shrushti, Kalandhar, Mohammed Sadiq and Sumanth. Student volunteers from the Management studies and Hospitality programs at PESU assisted in the smooth conduct of the Bootcamp. The event was held from May 28 to June 3, 2018 on the PES University campus. A workshop and session on Emotional Intelligence was conducted by Dr.V.Jaykumar for the managers and supervisors of Novotel and Ibis, Accor Group, as a part of the university’s industry interface. 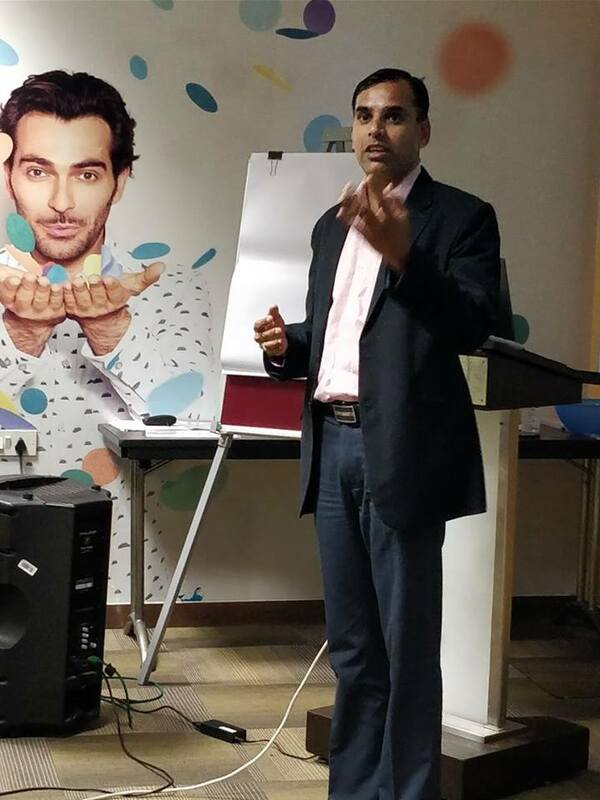 The session delved on importance of Emotional Intelligence at workplace, as a tool to improve productivity, and as a key driver for customer engagement. The BBA Hospitality & Event Management department conducted an Oriental Cuisine workshop with special emphasis on Chinese Cuisine on Aug 10-11, 2017. The demo and workshop, an alumni Initiative was curated by Pavan (2007 batch), Sous Chef, Leela Palace, proved to be a great experiential learning opportunity. Inspire 16 was an opportunity to know more about how entrepreneurship can be a powerful tool that is capable of changing the world for the better by focusing on reducing inefficiencies found in the system. The event featured Mukesh Singh, founder of ZopNow and Siddharth Rao, Legal Counsel of Sequoia Capital India who talked about entrepreneurship as a journey towards creating lasting change in the society. Mukesh Singh spoke about understanding the inefficiencies present in the system and coming up with a solution before competitors can spot the inefficiency. Siddharth Rao shared insights into the thought process of the investors before they invest in a company. He stressed on the fact that the investors look for potential in the founder and the founding team over the product or service idea itself. The speakers highlighted the importance of collaborating with others for a startup. They talked about practical examples of how knowing the market realities saves resources and improves efficiency and operations. They felt the need to get proper legal support for protecting Intellectual Property the team creates. Physical and mental health alongside passion for work was crucial for success according to the speakers. The event held on 4th November at Tech Park Seminar Hall was managed by the team of: Chaitanya Premkumar, Hardik Surana, Gautam Bala, Varun Kotak, Gayatri Anand, Vignesh, Smaran Mahesh, Siddharth Suresh , Chandher Shekar, Shruthi Shankar, Aman Anjan Bhat, Rajath Nandan. DCPECS 2016, the national workshop on Digital Controller for Power Electronic Converters and Systems was held on the PES University campus from April 11 to 14, 2016. 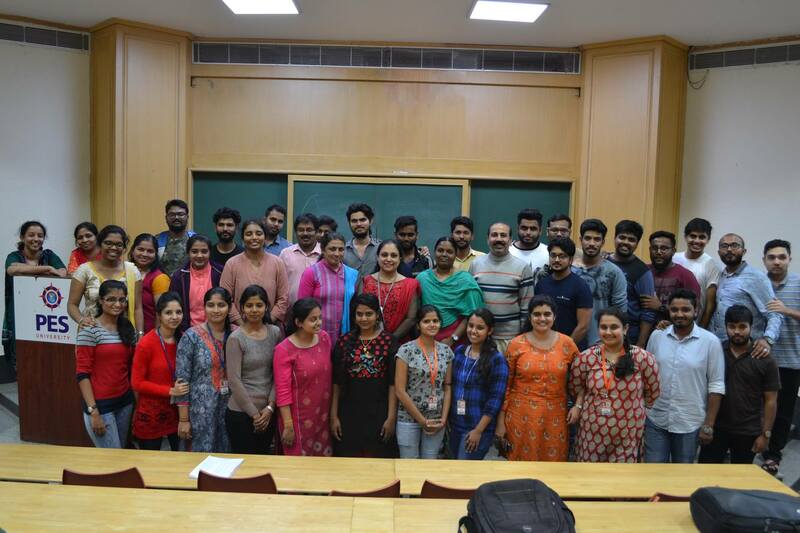 The workshop, organized by the department of Electrical and Electronics Engineering in association with NaMPET was funded by TEQIP. National Mission on Power Electronics Technology (NaMPET) facilitates research, development, deployment and commercialization of power electronics technology by enhancing the indigenous expertise and infrastructure in the country with active participation of academic institutions and industry. Technical Education Quality Improvement Programme (TEQIP) is an initiative of government of India for transformation of the technical education system. The inaugural session was presided over by Dr. M R Doreswamy, Chancellor, PES University. The delegates were welcomed by Dr. B K Keshavan, Head of the Department of Electrical and Electronics Engineering. The first day featured Mr. Srikhanth Nagaraj, Director – Application Engg., Microchip in the keynote session. He presented an overview of the subject of the workshop and issues related to power and applications. Dr. Sivakumar, Asst. 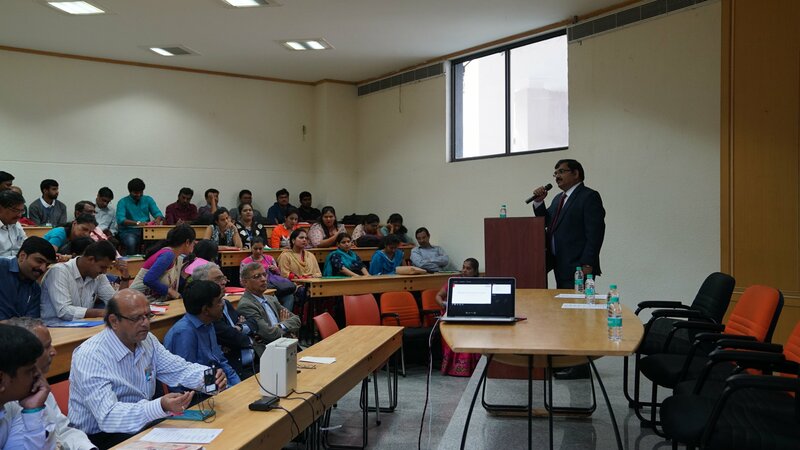 Professor, IIT-Hyderabad conducted three technical sessions. He elaborated on the basic programming and architecture of advanced DSP processors. He explained controller applications on multilevel inverter and power converters, which was followed by technical demonstration of microcontroller kit. On the second day Dr. V Somasekhar, Professor, NIT – Warangal, delivered a talk on suppression of zero sequence current in open end winding induction motor drives and discussed power quality issues with induction motor drives. Dr. Sanjay L, Associate Professor, MSR University of Applied Sciences, talked about generation of polygonal voltage space vector for IM using DSP, and its mathematical analysis applicable to space vector modulation techniques. Dr. L Umanand, Associate Professor, Indian Institute of Science, conducted two sessions. He spoke about digital controller basics, methods, algorithms and their applications to DC-DC power converters and inverters. The third day proved to be informative with the technical support of NaMPET and Dr. Z V Lakaparampil, Head, Power Electronics Group, Center for Development of Advanced Computing (CDAC). Mr Sekar S, Scientist – C, CDAC, spoke about NaMPET products especially in domain of digital controllers of Power Converters. He covered applications of power converters with digital controllers. Mr. Jayan P P, Scientist – C, CDAC, talked about full spectrum simulators, miniature version for educational institutes (FSSMini), a simulator functionality, its applications in digital domain and its usage in laboratories and academic organizations. Mr. Ajeesh A, Scientist – CDAC, spoke about System On Programmable Chip (SOPC), the new programming technology in digital domain and SOPC, its importance, functionality and applications. The three day workshop was attended by faculty and post graduate students of PES and participants from institutions across the country.